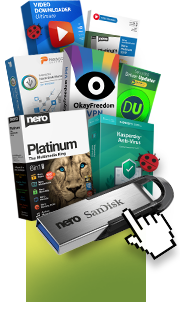 This download is the full installer of Nero 2015 Platinum. You will need your Nero 2015 Platinum serial number for unlocking this version. Your first four digits of your serial are either 9053- or 1053-. You can’t find your serial number anymore? Click here to get more details. 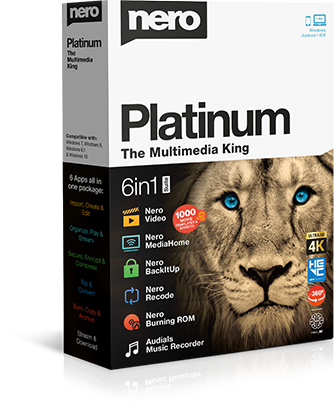 This download is the Content Pack for Nero 2015 Platinum.The Content Pack enhances the applications Nero Video and Nero MediaHome (slideshows only) with additional templates for theme packs, disc menus, sample audio and video files, special effects, transition effects, etc. The Content Pack is offered as a separate download in order to keep the download size of the Nero 2015 Platinum installer small. Note: Nero 2015 Platinum must be installed first before starting the installation of Nero 2015 Content Pack.